In 1926 Jacob Farbstein created Globe Skylight and Roofing Corporation and cemented strong relationships in the New York City commercial real estate community. In 1932, Harold Farbstein started United Roofing. This company was responsible for the roofing on some of New York’s more prominent buildings; which included The World Trade Center, New York City Housing and various Public Schools and Universities. In 1969, home from Vietnam, David Farbstein joined United Roofing (his father’s company) and learned the business from the ground up. Building on the family credo of trust and hard work, David developed his own contacts and relationships within the construction industry. David and Shelley Farbstein established McFar Contractors, Inc. in 1980. They brought with them multi-generational experience in the commercial construction and renovation field. 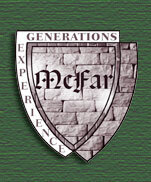 As the name McFar Contractors became known in the tri-state area, masonry restoration was added to their repertoire. They soon welcomed Robert Stern, a Licensed Rigger, to their staff. Continuously searching for fresh talent, Richard Der Aris joined the firm in 1993; bringing with him an Engineering degree from the University of Buffalo. He continues to broaden our customer base into the states of Connecticut and New Jersey. Keeping with the family tradition, in 1993 Penny Farbstein Mendelsohn joined the company as a field employee acquiring invaluable “on the job” experience. She graduated from New York Institute of Technology in 1995 and brings her degree in Architecture to the business. Penny’s architectural knowledge combined with her female perspective on business brings a unique angle to the company. We look forward to the opportunity to discuss your construction needs with you and to have you join our ever growing list of satisfied clients.